What have you done with your circular saw lately? 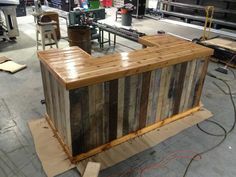 Here is what I built last week out of scrap lumber. Hi, I really appreciate your work that how you explain each step in detail with proper illustration. I am beginner in this power tools field i have my circular saw but it was failed due to power failure i go for market for circular saw repair but can not get something out of it. After getting some training in using power tools i buy a best table saw for woodworking for the improvement of my home by my own by using your given techniques and guess what i am succeeded...!! If you want to read some more information and tips & tricks and interested for getting more then visit this website for more great information...! !